If you want to install a patio gazebo, you don’t necessarily have to call in a specialist to help you with that. You can also roll up your sleeves and get to work yourself. Here is how you install a patio gazebo in a few easy steps. It might sound redundant but, in fact, it’s vital to choose the right location. Traditionally people install their patio gazebo at the back of their garden. They do this for two reasons. First of all for a great scenic backdrop and view and secondly, so that it doesn’t obstruct light coming into the house through the windows. However, you can set it up anywhere you want, as long as you make sure there’s enough space for it. This idea means that you should actually measure the space in your garden and see if it will fit prior to buying the patio gazebo. When you go shopping for a patio gazebo, you need first to think about some objective things, such as your garden’s size and architecture. 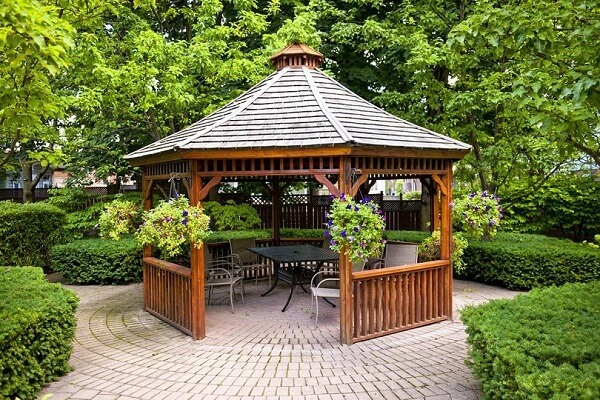 It may so well be that the gazebo of your dreams cannot fit into your backyard. You can also take into account just how many people you will want to sit in there and buy according to that. Every traditional gazebo needs to stay away from a water source. You might also want to keep it at a safe distance from any spot that collects or stores water. The standard ones cannot withstand moisture or a wet atmosphere. However, in case you want to place a hot tub inside your patio gazebo, then it’s better you install the whole package. Not only will it be waterproof, but it will also save you a lot of money. #4. What Accessories Will You Need? Depending on the purpose you intend to give your gazebo and the season in which you are going to use it, you need to decide on some accessories. 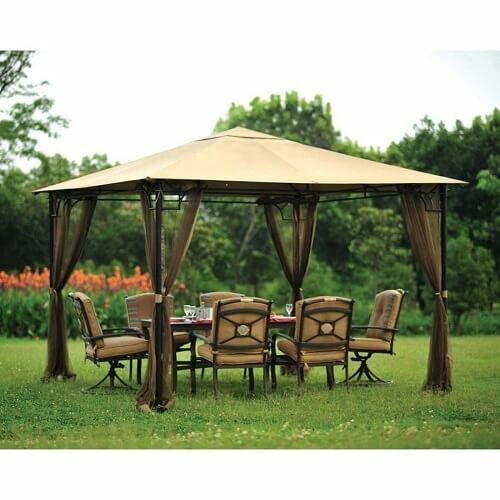 For example, you can buy some gazebo mosquito netting , furniture, umbrellas or privacy curtains. Here is a vital piece of information for any gazebo lover out there. Any such contraption that is bigger than 100 square feet needs to receive permission from the local municipality. If you receive it, you can then erect your patio gazebo. Remember, installing a patio gazebo isn’t all that much trouble. You can even gather your whole family and work on it as a fun family project.